The PS2 gaming console developed by Sony has been a great success in the gaming industry. It has a tremendous variety of games which attracts great attention from gamers all over the world. This attraction results in the development of emulators for other smart devices so that they can run these PS2 games. 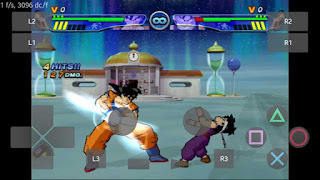 So today we are going to discuss best PS2 emulators for Android devices which will help you to run ps2 games on your smartphone. Damon PS2 is one of the best emulators available right now for android. Just like using PPSSPP emulator to run PSP games on the smartphone, you can also use the DamonPS2 emulator to run PS2 video games. It supports more than 90% of the PS2 games, out of which about 20% run at a decent speed. The Damon ps2 developer team is a group of active developers who are working earnestly to improve the structure of the app and trying to support more games at a playable speed. Damon PS2 surely looks like it is going to make great improvements in the future and will help us to play more games at good fps. Play! 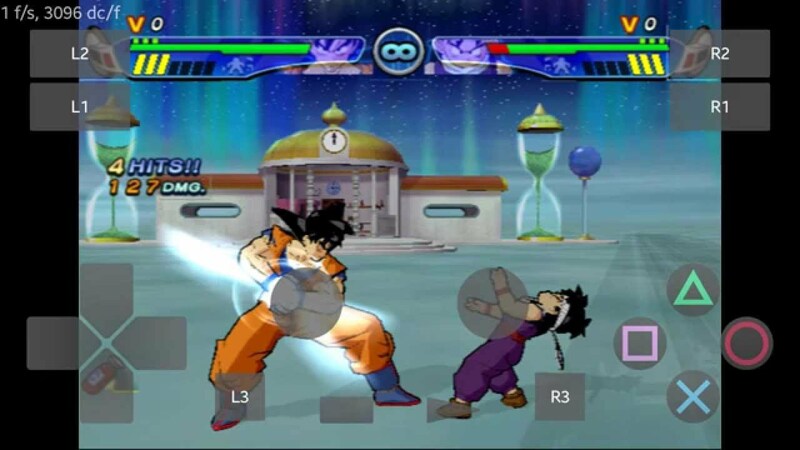 is another PlayStation 2 emulator for Android that lets you enjoy some of the best games from the from PlayStation 2. From Shadow of the Colossus and ICO to Grand Theft Auto San Andreas, Final Fantasy X, and even Pro Evolution Soccer 3, all of these can be played on your Android device quite smoothly. Like most emulators for game consoles (and especially Android emulators), the compatibility list of devices for Play! is very limited. Some games don't work at all, others only halfway, and others work but run slower than they should, while some games are playable. Overall it will give you a good first-hand experience but it is not a horse for the long run. So that's the end of the list as there are not many working PS2 emulators available for android in the market. The ones which are available don't do the job that well. We will have to wait and see if there are further improvements in the emulator section for Android to fully enjoy the games on our Android devices. The list will be further updated if I find a working emulator in the future. So, thats it for this one, make sure to give your suggestions in the comments section below. How to download and install and actually make the DAMON PS2 PRO work. I hope you guys play games in the emulator and enjoy a lot. I have tried to give the process as easily as possible, still if you find any issues, you are free to contact me. The Fastest PS2 Emulator for Android in Global !!!! On Samsung S8 smartphone, the DamonPS2 emulator runs most of the PS2 games smoothly. This Emulator is Very much Easy to Download from play store. But if you do not have money it is Difficult to download this emulator for Android for free of Cost. that's why I have made this trick to get you this emulator for free. I am also providing the Damon ps2 bios and also the procedure to put the bios for free in the Damon ps2 pro emulator. we are using the parallel space app to install the Damon ps2 emulator for free. we will install the emulator in the parallel space app and after that, we will put the ps2 bios, so that we can run the game very easily. you can find 2 videos on my channel youtube.com/dinkerchaudhary. 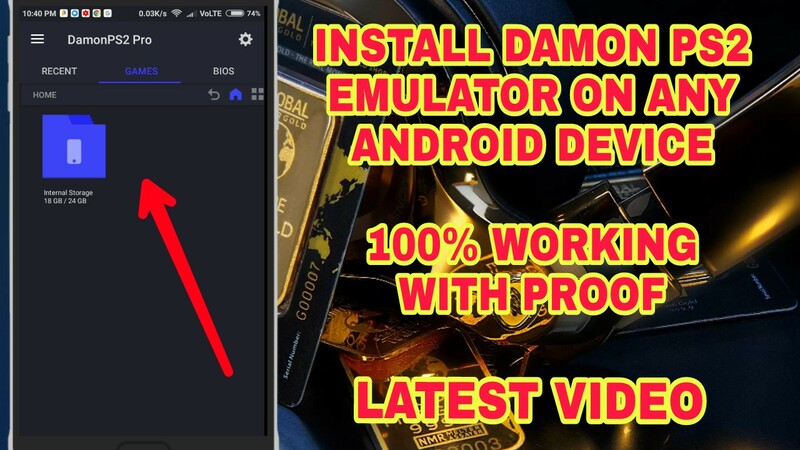 in the first video, I have told you how to install Damon ps2 pro apk on your phone and in the second video I have told you guys how to get the ps2 bios and how to make it work inside the Damon ps2 emulator. my guide to set up auto clicker for android without root. maybe you will find it useful. i hope you enjoy the video and the procedure. Theprocess works on all android devices even with lower end devices with low ram as well. The Fastest PS2 Emulator for Android in Global. the application has received the attention of so many people because this will be the bridge so players can experience the classic games that were hot around the world. his is Related to PS2 Emulator.